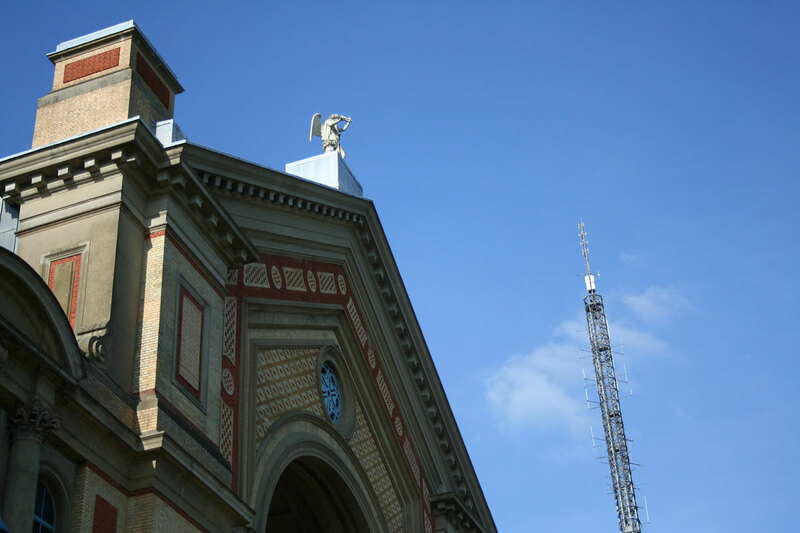 Click on the radio station name to listen online. 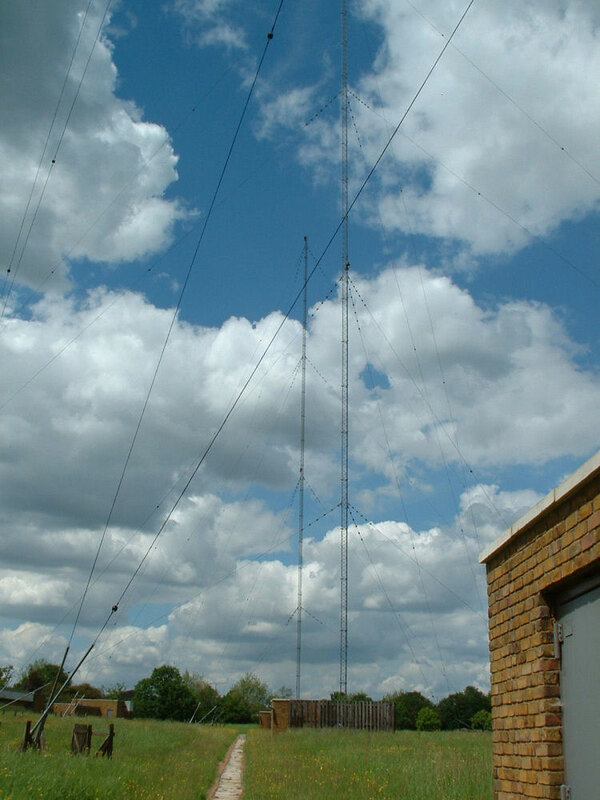 Local stations should give strong reception. 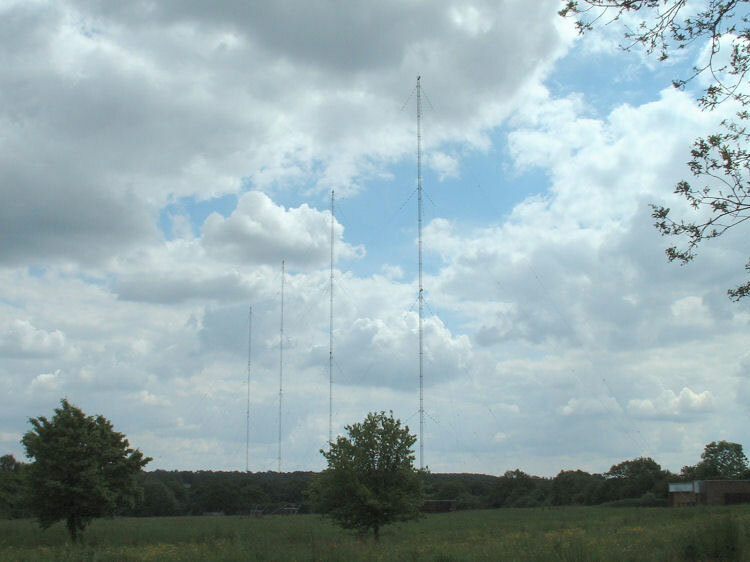 The other stations, highlighted in light gray, will give weaker reception. 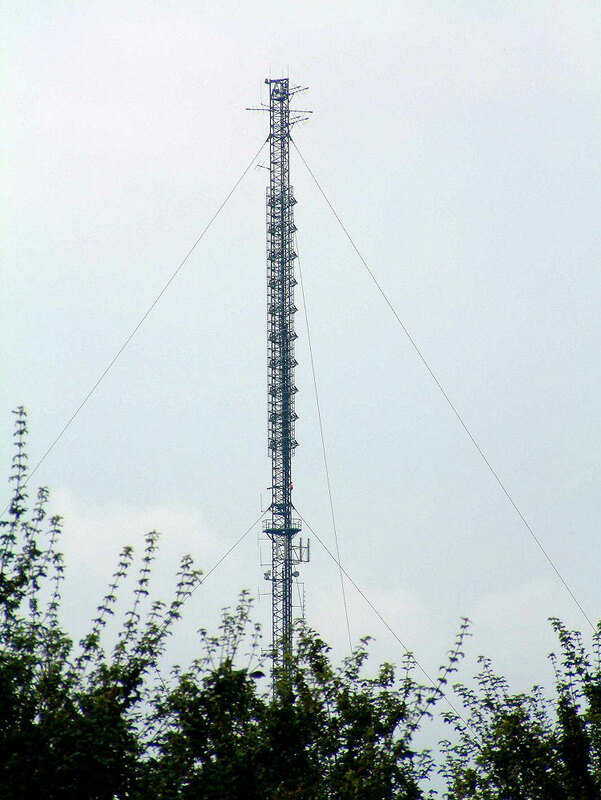 Reception can vary within a town or city, in particular, more stations will be received on higher ground. 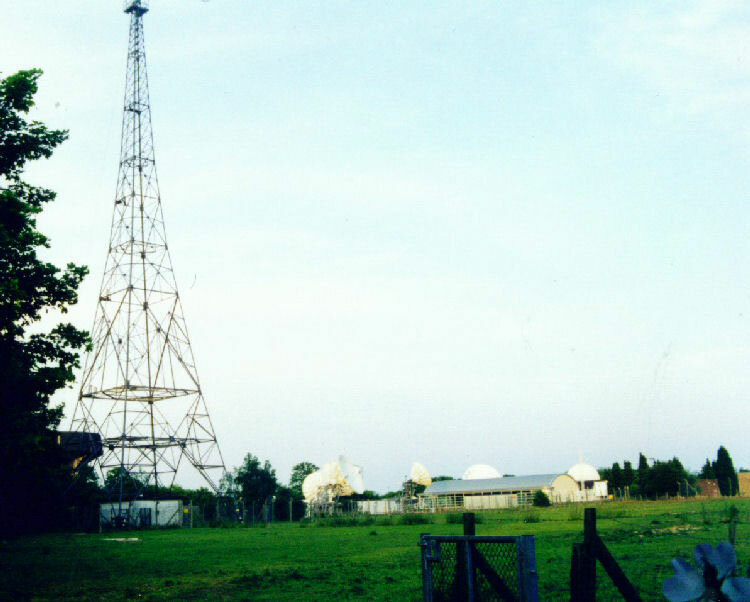 Some community stations only cover part of a city. 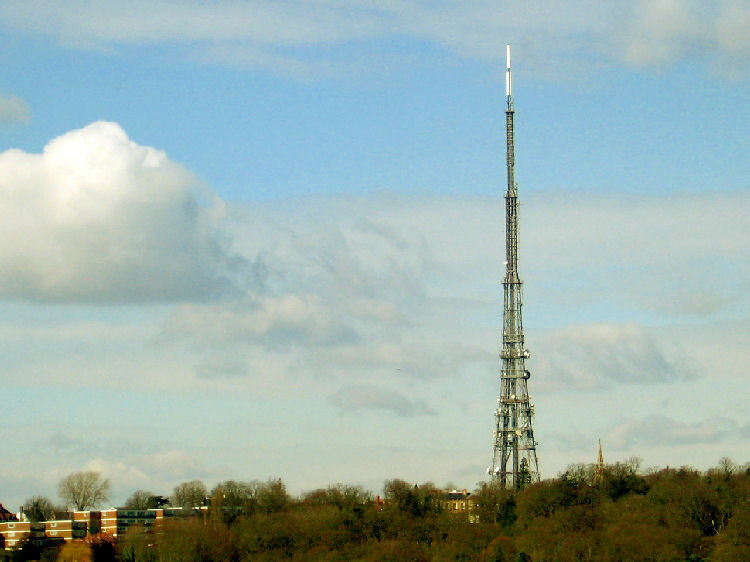 Many web-streams are limited to a UK audience only due to Broadcast licensing rules. 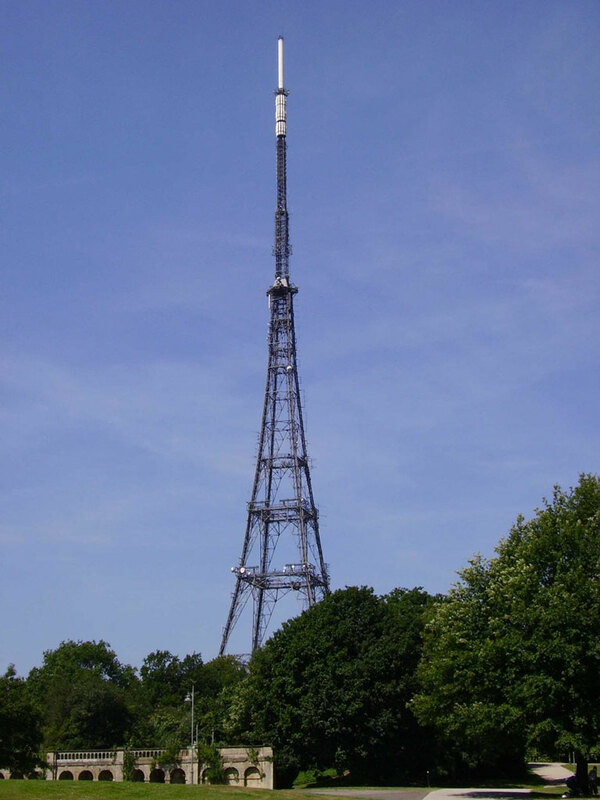 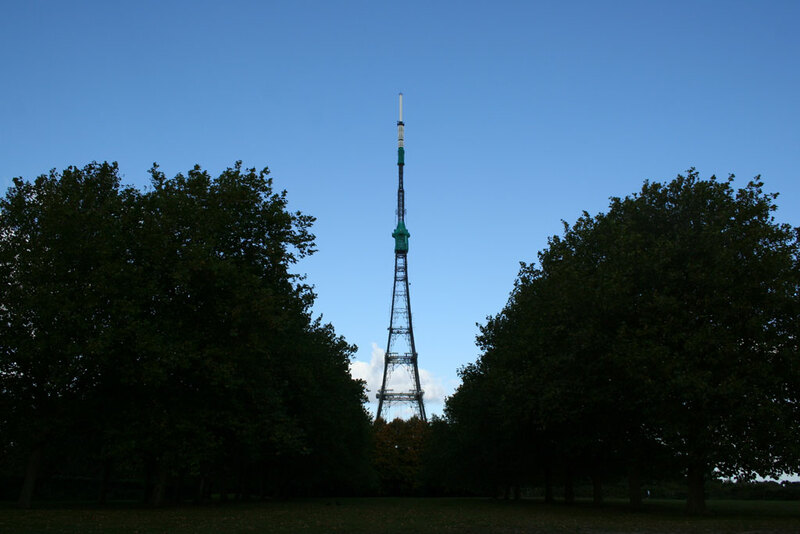 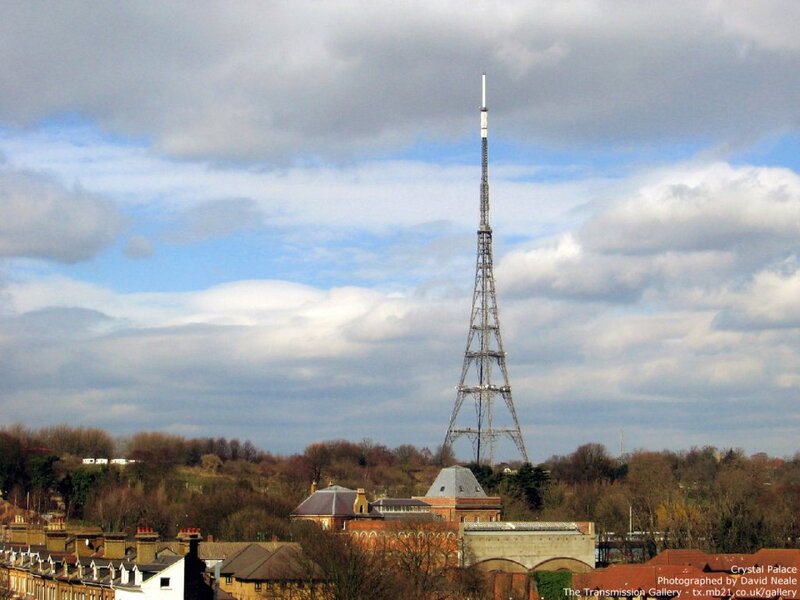 The Crystal Palace transmitting station is a broadcasting and telecommunications site in the Crystal Palace area of the London Borough of Bromley, England. 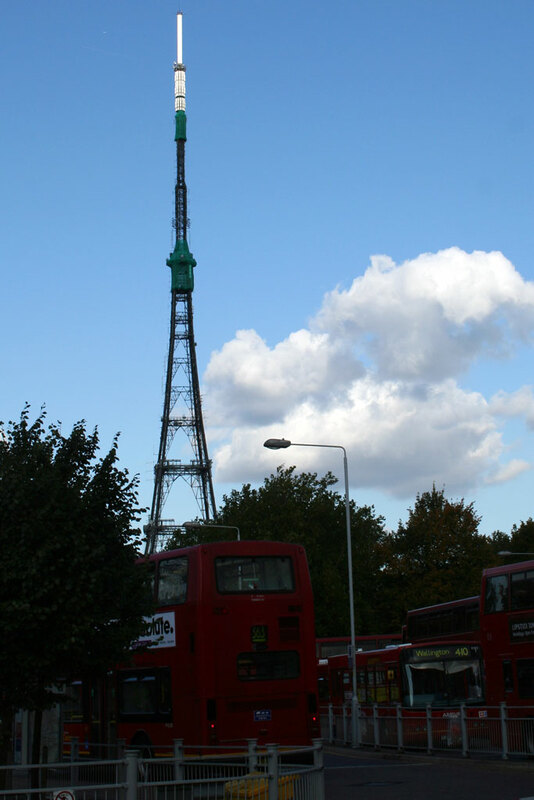 It's tower is the fifth-tallest structure in London (by 2015). 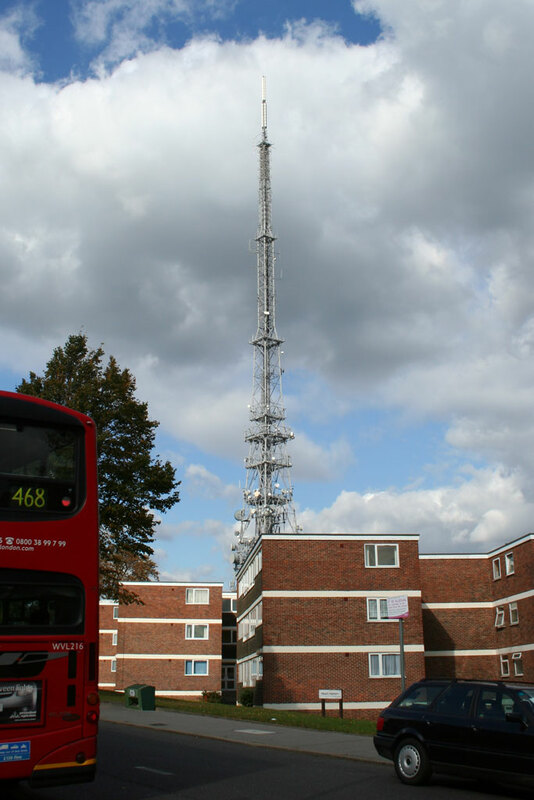 The station was built in 1956 and is best known as the main television transmitter for the London area. 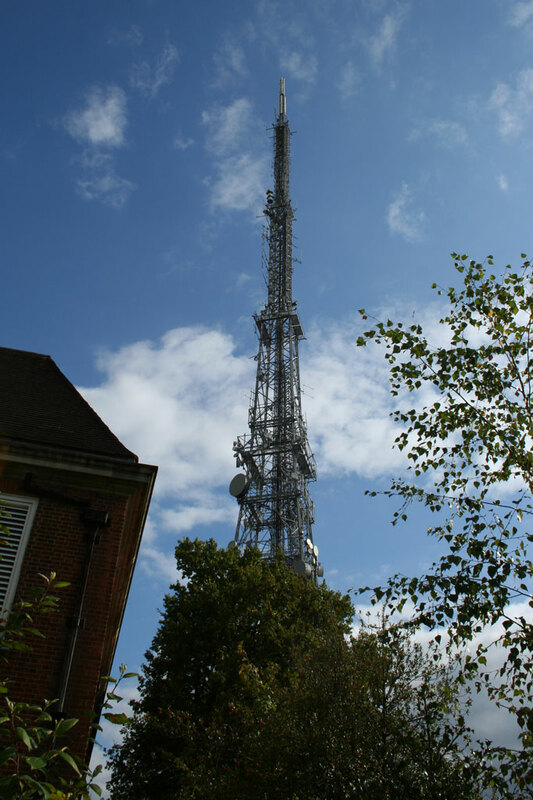 The Croydon transmitting station is a broadcasting and telecommunications facility located in Upper Norwood, London, England, in the London Borough of Croydon, owned by Arqiva. 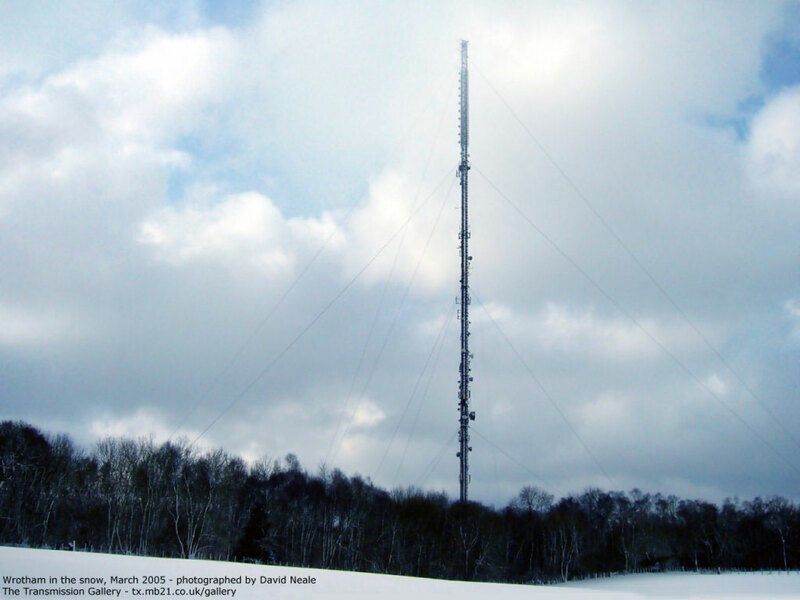 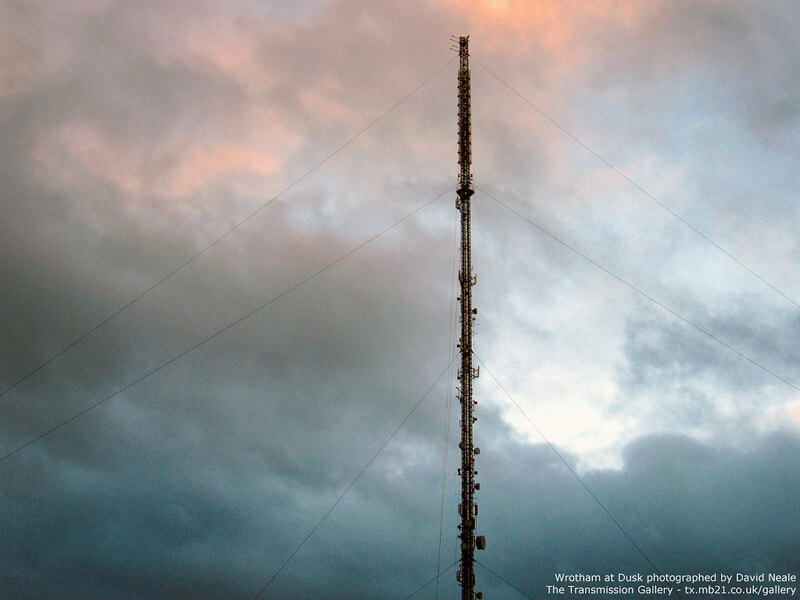 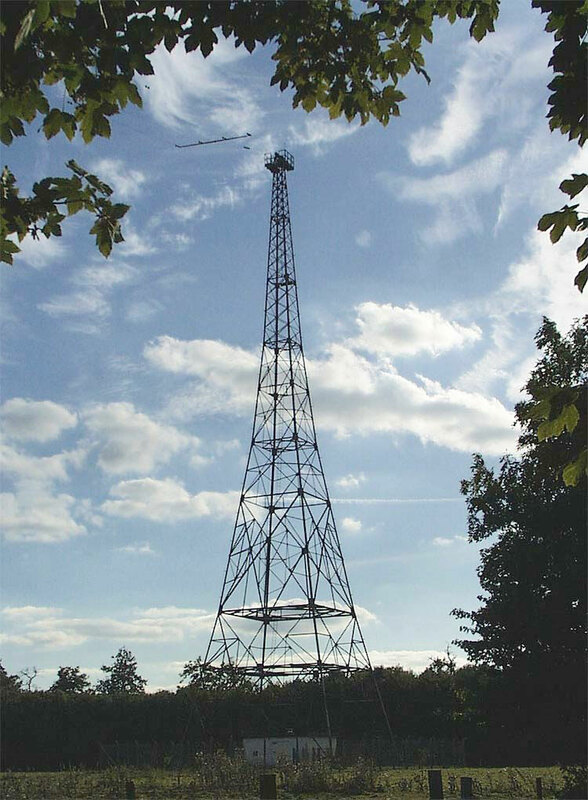 It was founded in 1955 and initially used a small lattice tower. 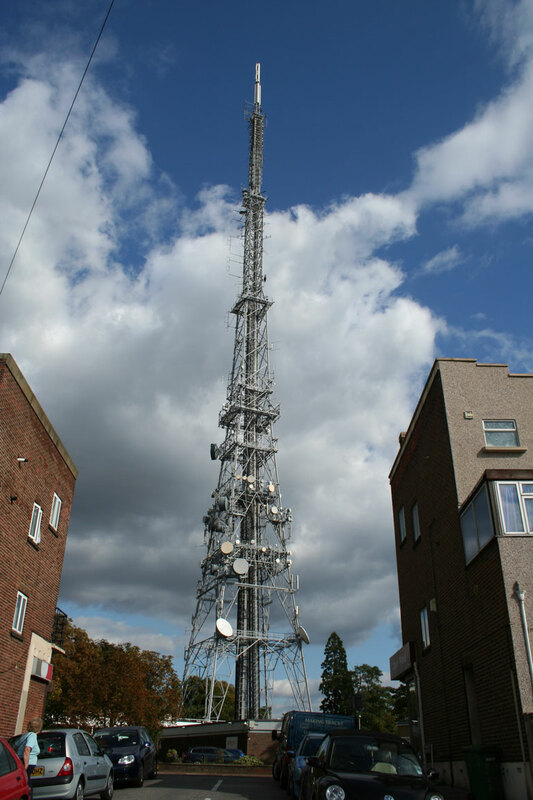 The tower present on the site today was built in 1962. 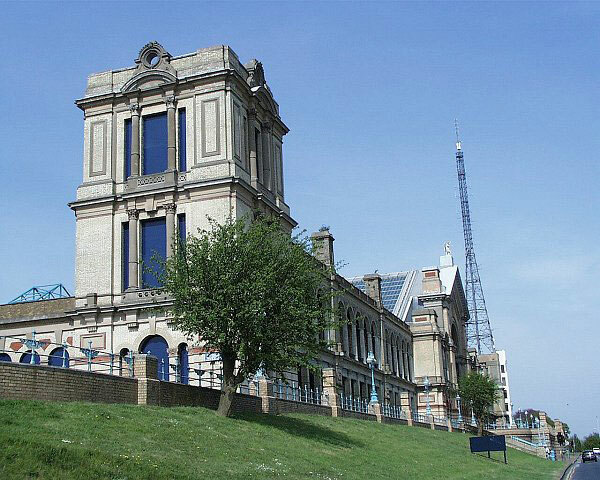 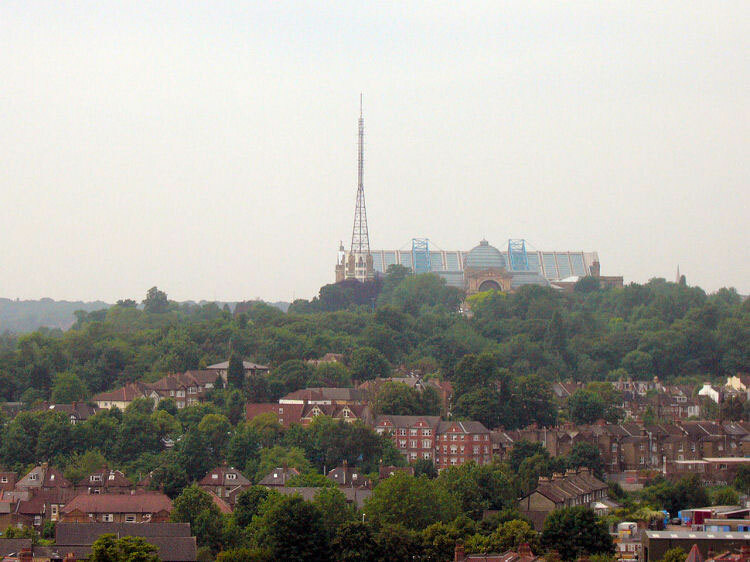 The Alexandra Palace transmitting station in North London is one of the oldest television transmission sites in the world. 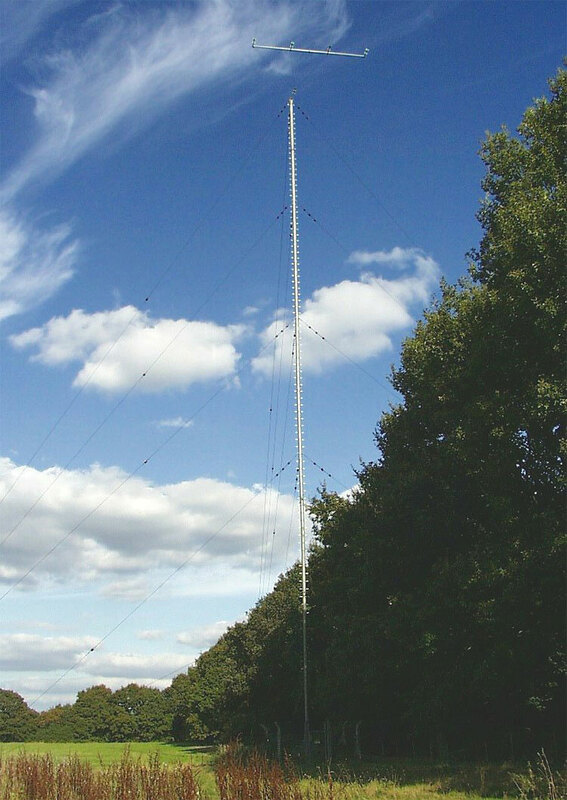 What was at the time called "high definition" (405-line) TV broadcasts on VHF were beamed from this mast from 1936 until the outbreak of World War II. 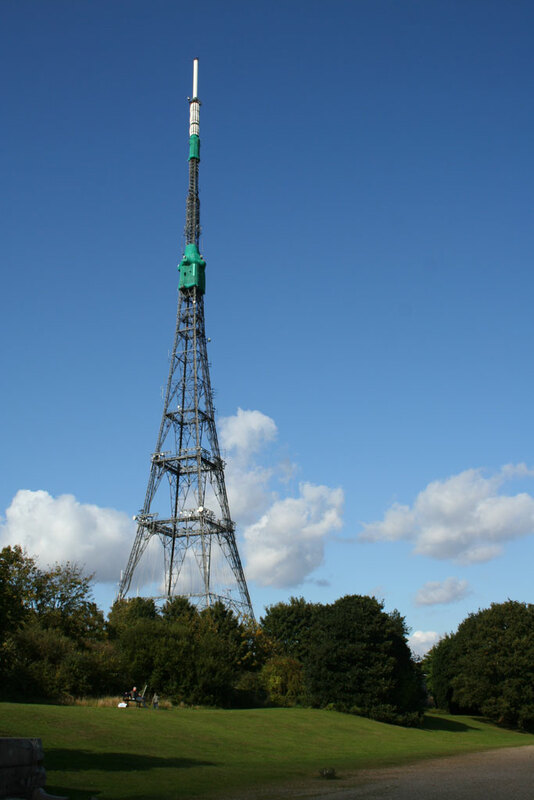 After the war, it was reused for television until 1956, when it was superseded by the opening of the BBC's new main transmitting station for the London area at Crystal Palace. 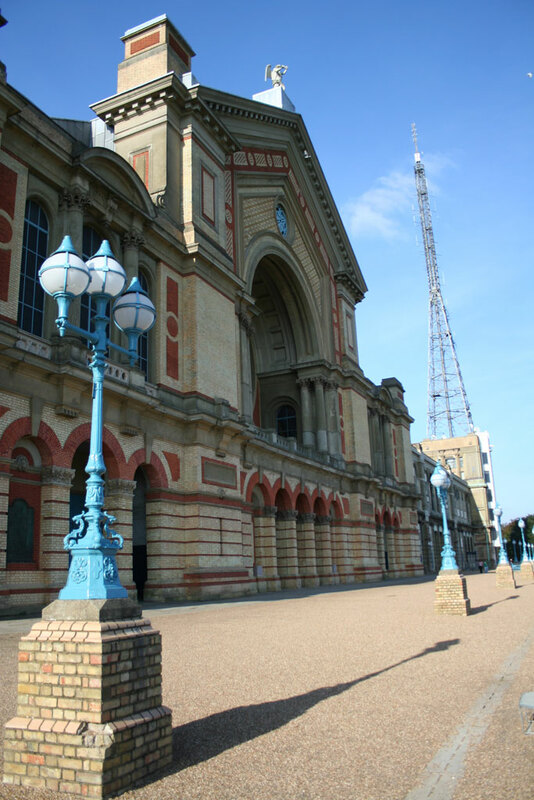 In 1982 Alexandra Palace became an active transmitting station again, with the opening of a relay transmitter to provide UHF television service to parts of North London poorly covered from Crystal Palace. 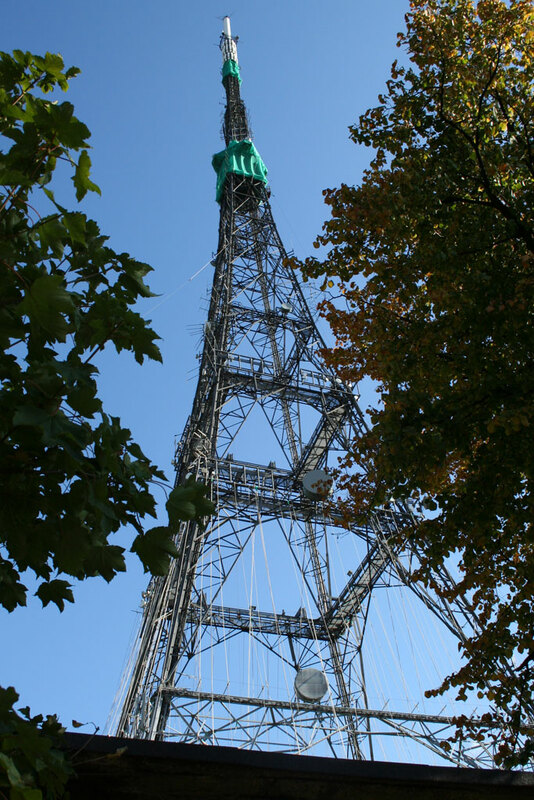 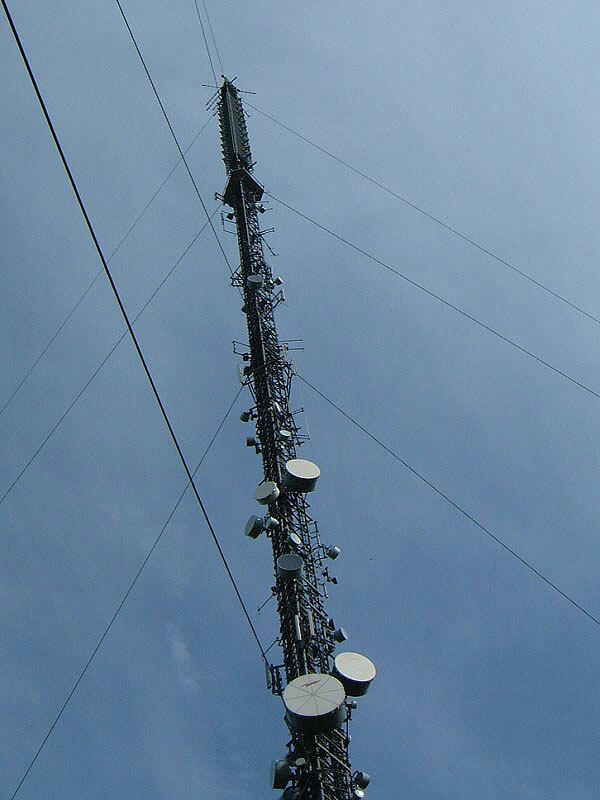 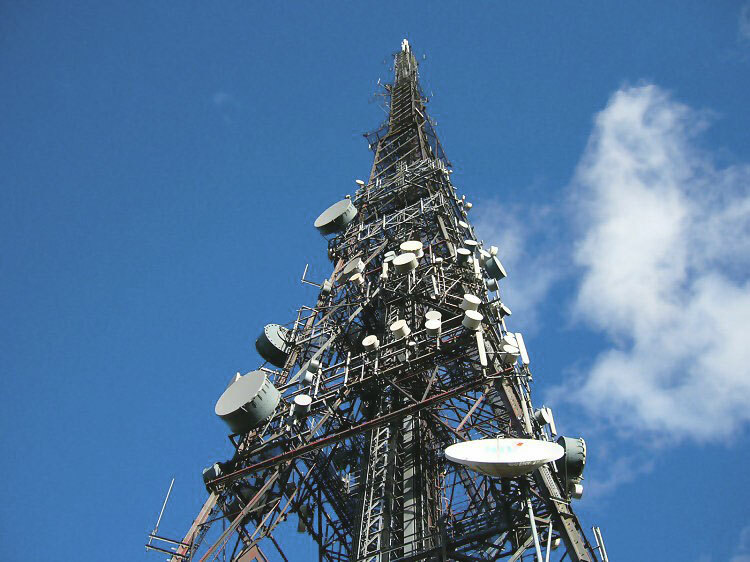 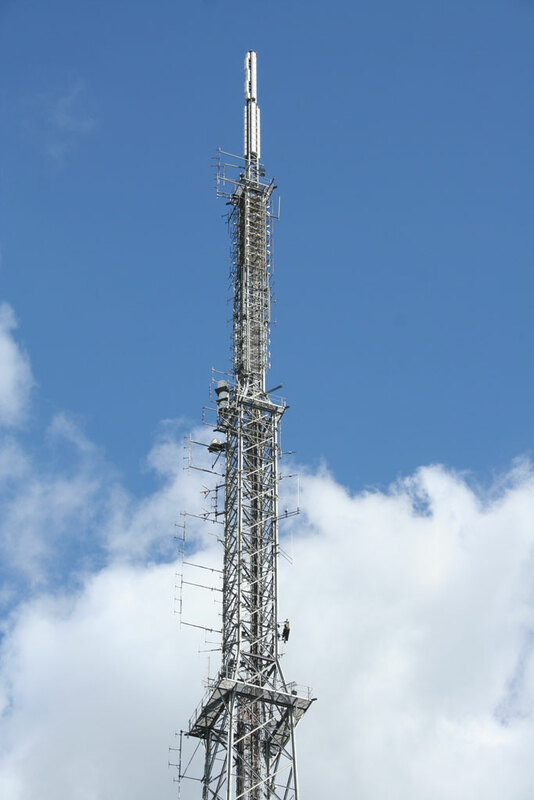 The transmitter is owned and maintained by Arqiva. 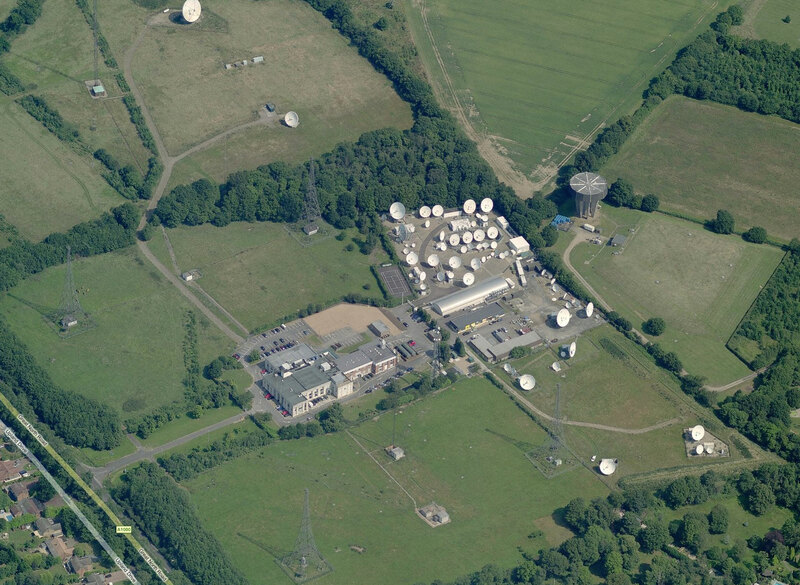 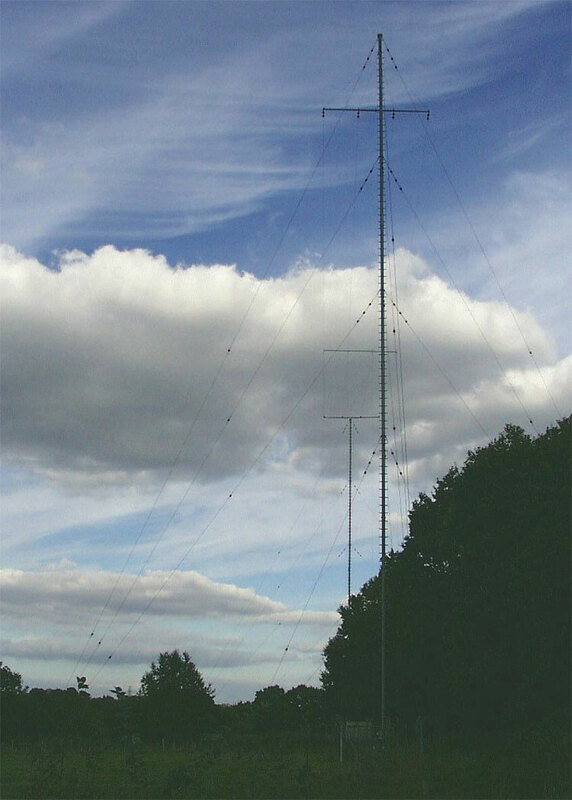 The Wrotham Transmitting Station is located on the North Downs, close to the village of Wrotham in Kent, England and just north of the M20 motorway. 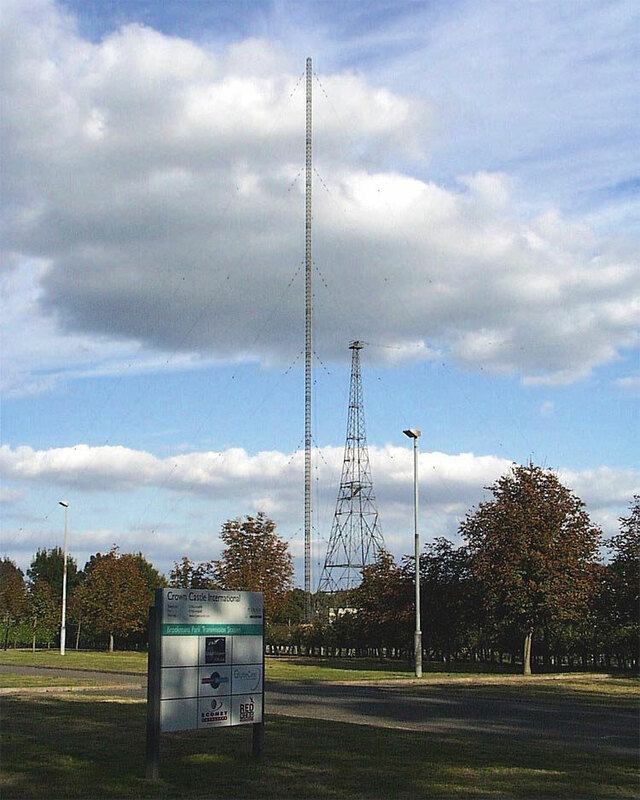 The current mast on the site was constructed in 1981, and was built to replace the original mast of equal height that was constructed in 1951. 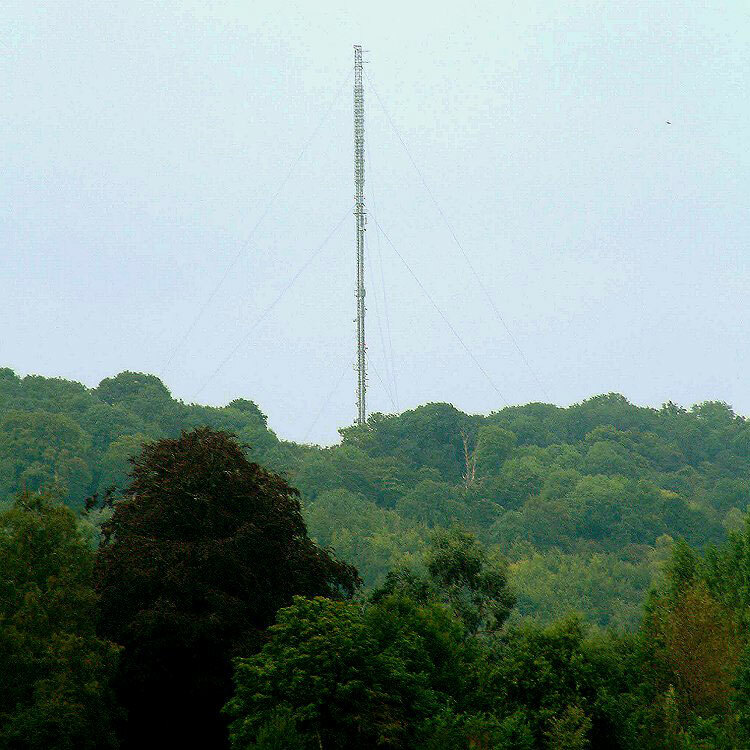 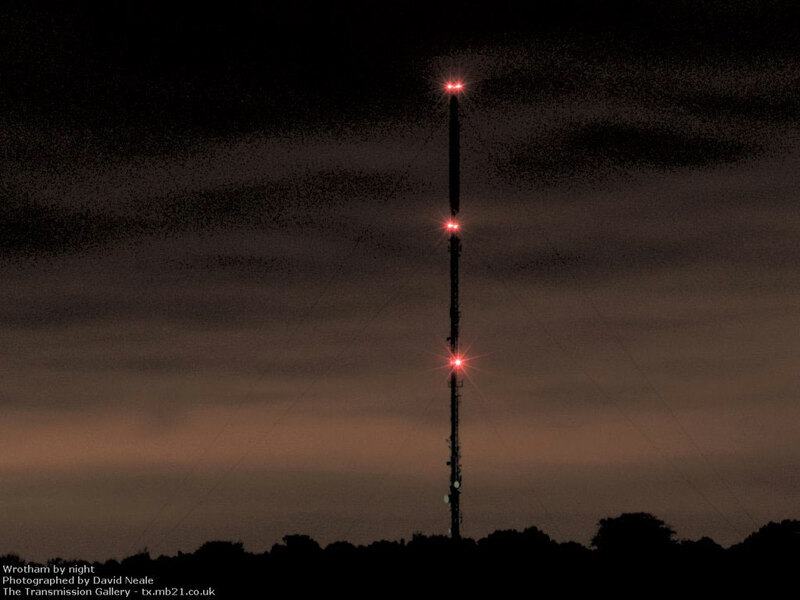 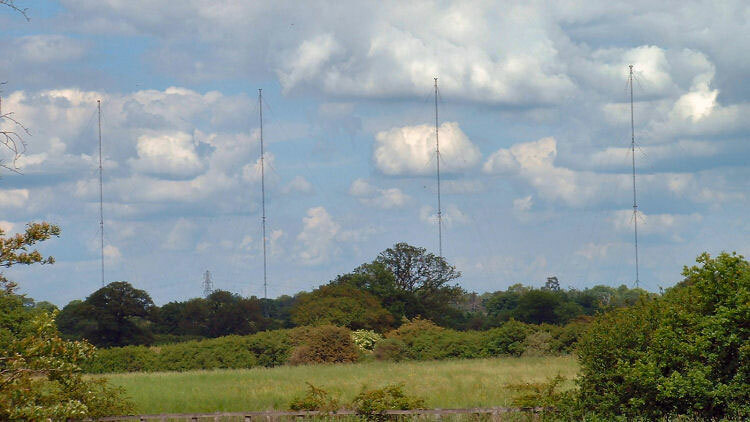 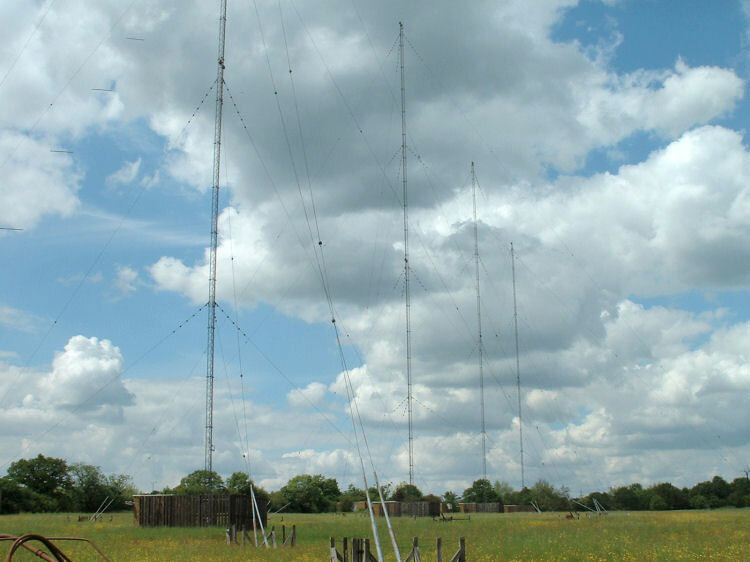 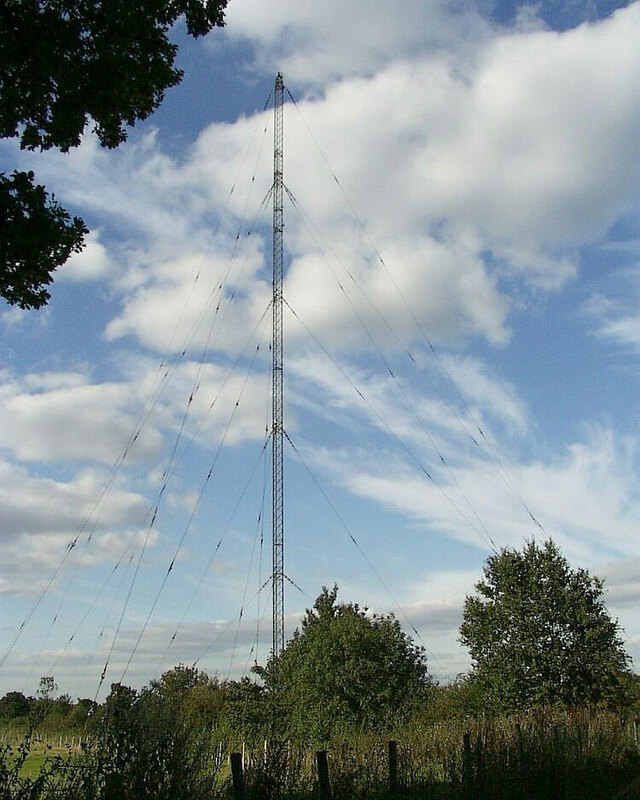 Wrotham Transmitter is the main radio transmitter serving London for the 4 BBC national FM services and Classic FM. 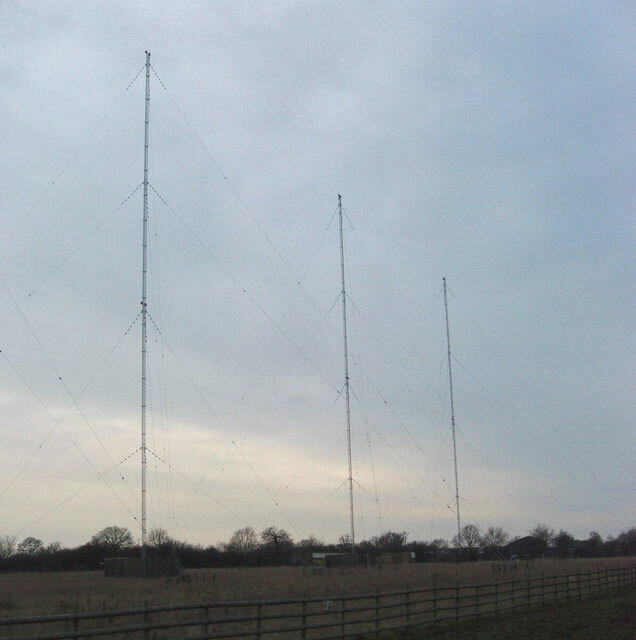 The Brookmans Park transmitting station is a facility for medium wave broadcasting north of London. 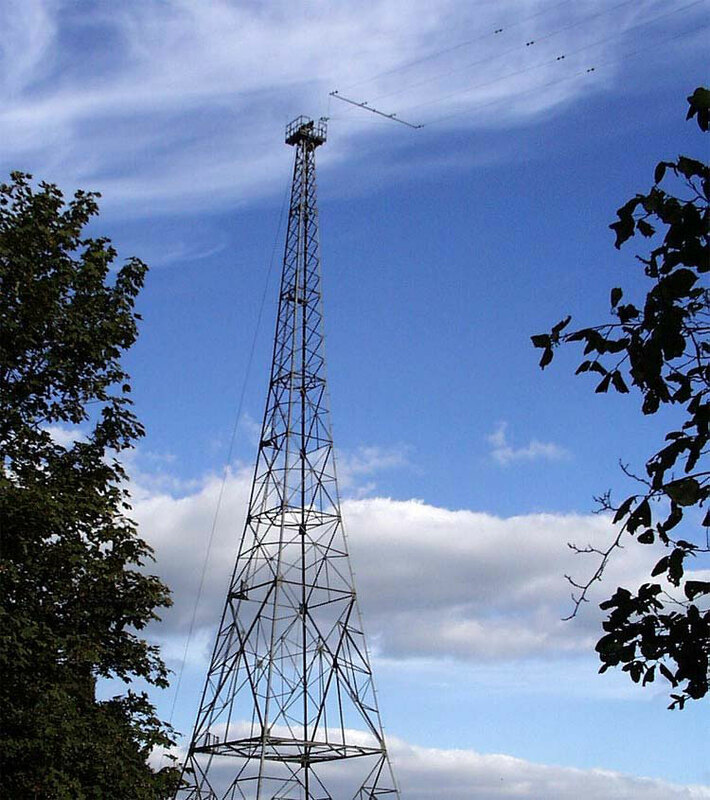 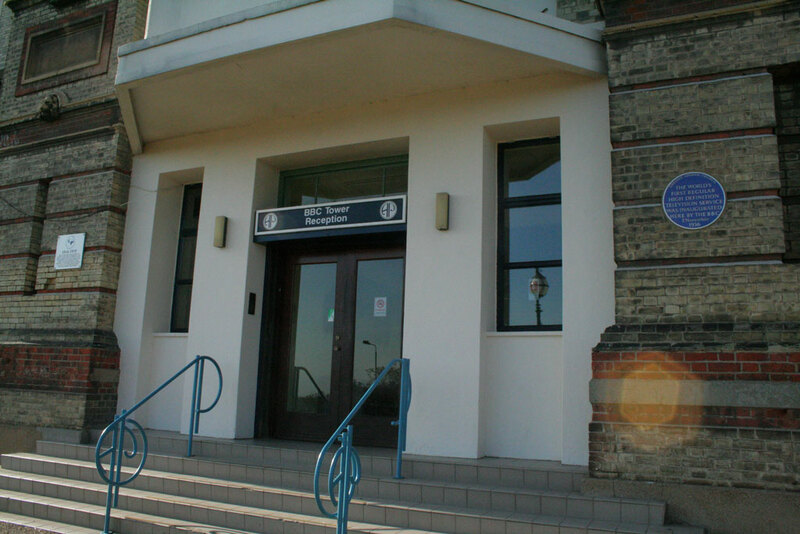 The station was built by the BBC for a regional programme to be transmitted to the Home Counties, London and South East. 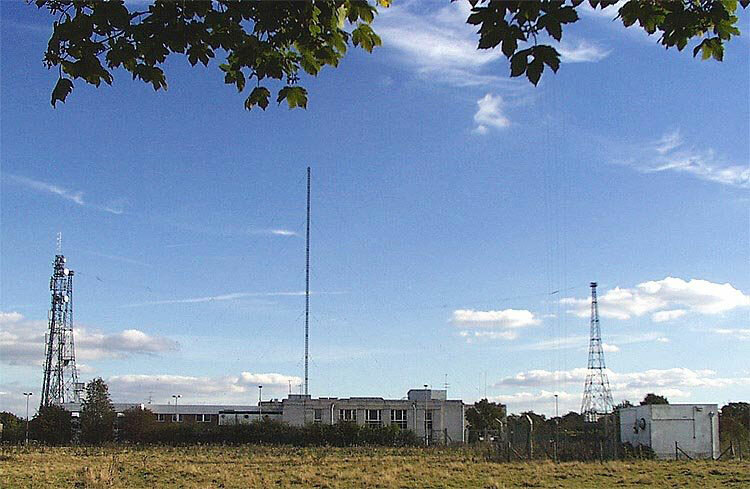 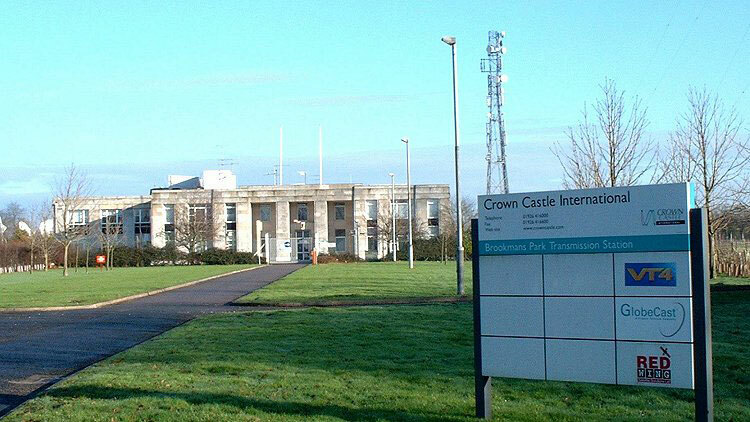 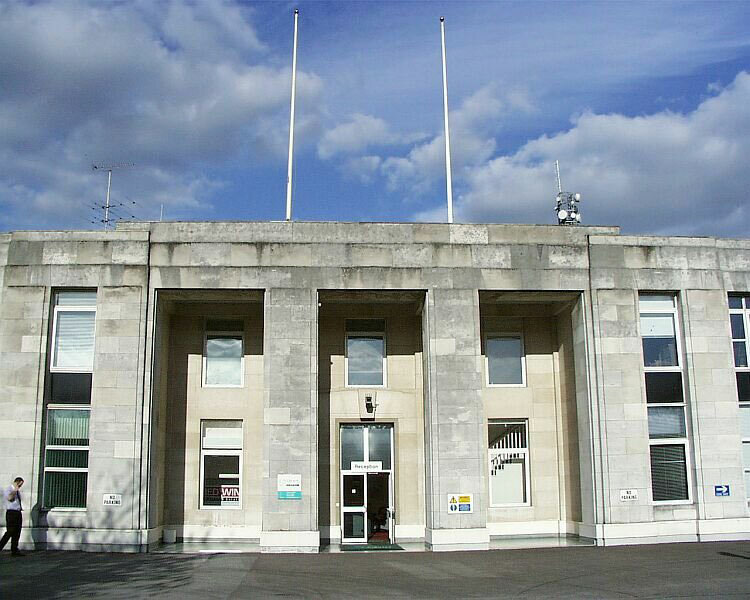 The Brookmans Park Transmitting Station, situated on the A1000 road between Potters Bar and Hatfield in Hertfordshire, played a crucial part in the history of broadcasting in Great Britain, as the first purpose-built twin transmitter station in the world capable of broadcasting two radio programmes simultaneously when it was completed in October 1929. 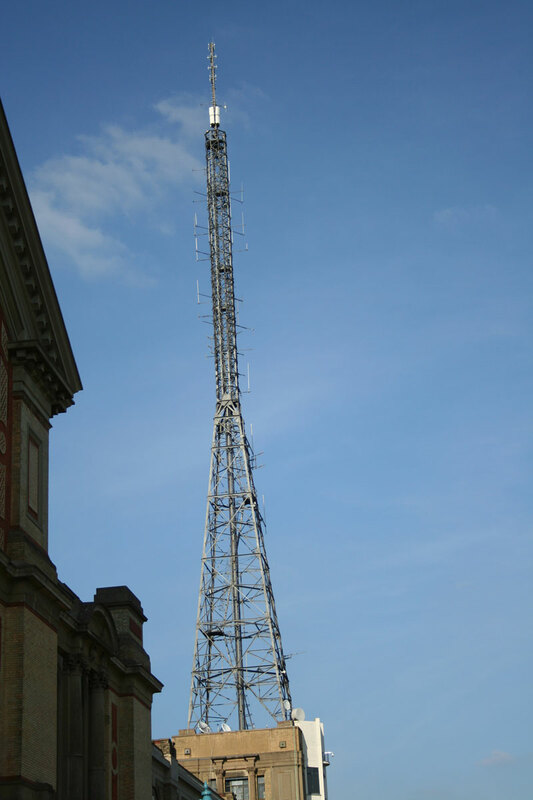 The station now is now the home to many communications companies who operate various satellite and communication services, including a busy VOR transmitter, used by airliners arriving and departing London. 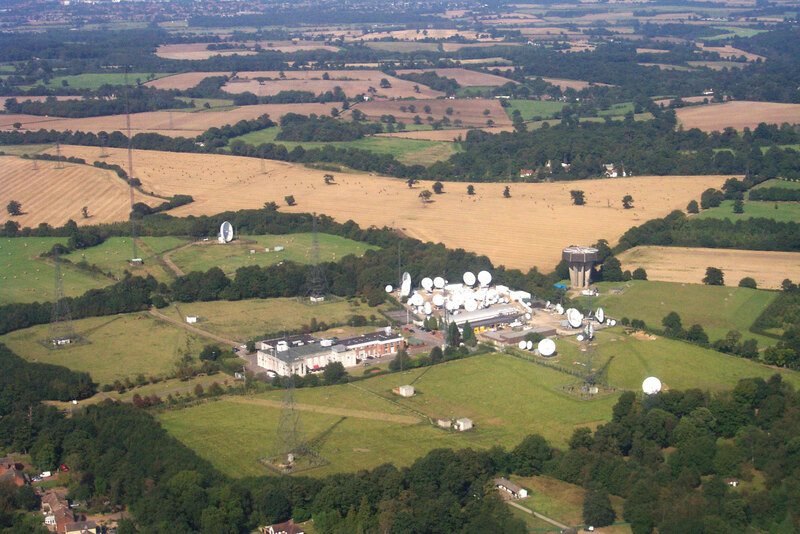 Saffron Green transmitting station is located 1.4 miles (2 km) south of A1/M25 road junction, in county of Hertfordshire, north of London.